Do you have what it takes to rappel down the side of a building in downtown Toronto? Me neither. But a team from The Local Gest does! 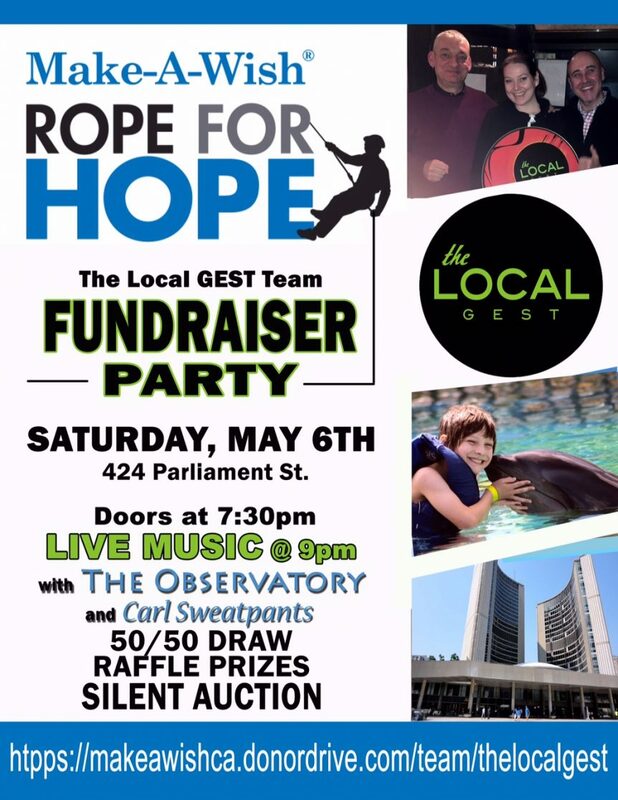 They will be holding a fundraiser for the Make-A-Wish Foundation’s Rope for Hope on Saturday, May 6th at 7:00 pm to raise funds for a good cause. The Local Gest team will be traversing down the side of Toronto’s City Hall paramilitary style in order to support the Make-A-Wish Foundation. If you didn’t already know, the Make-A-Wish Foundation grants wishes to children with life-threatening medical conditions in the hope of enriching their lives by providing life changing experiences. The Sportspateria team will be there throwing our support behind this amazing event and we hope to see you there too. If you are in the area and are itching to support a great cause, just head on down to The Local Gest at 424 Parliament St. this Saturday for some food, drinks, live music and what will be an all around good time. For more information please visit http://www.thelocalgest.com/events/. We hope to see you there!